Travel experts say it's one of America's hottest vacation trends: Camping in an RV! RVing is one of the most cost-effective ways that your family can vacation. In an RV, you can travel to your dream destination, visit state and national parks, beaches, and lakes with all of the conveniences of your home. There are endless numbers of campgrounds in the U.S. and with a camper rental you can escape to a safe and peaceful setting and experience nature at its best. Scenic View RV will provide you with a clean, late model Motor Home RV rental or Travel Trailer rental that will allow you to arrive at your destination in comfort. After renting an RV with us, if you would like to invest in a camper of your own, we will be happy to deduct a portion of your rental rate from the lowest sale price of any RV on our lot. Wherever your destination, Contact Us today and we'll help you get on the road to adventure in the RV rental that is perfect for you. 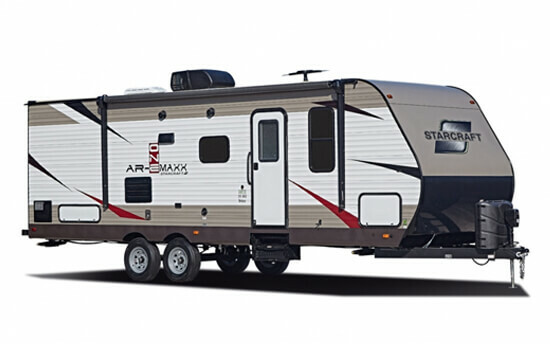 Dry Weight: 3,898 lbs | Sleeps: 5 | Size: 23'9"
A bunkhouse travel trailer perfect for a family getaway. Kitchen, dinette, bath with tub/shower, Queen bed, bunks, plus the dinette folds out for extra sleeping. 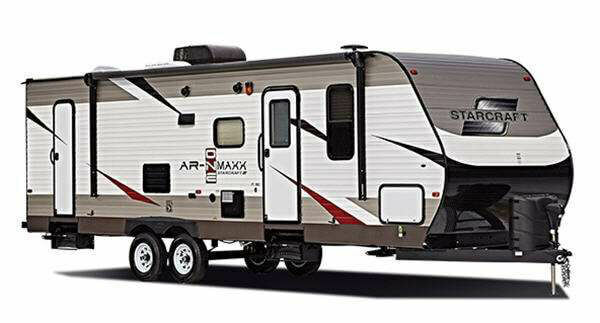 Dry Weight: 6,400 lbs | Sleeps: 9 | Size: 31'9"
A spacious travel trailer with private Queen bedroom and Double bed bunks. A great choice for your family vacation! Fuel: Gas | Sleeps: 6 | Size: 29'6"
This motorhome makes the journey as much fun as your destination, with plenty of room to spread out and enjoy the trip. Fuel: Gas | Sleeps: 8 | Size: 32'11"
If you're looking for a spacious motorhome with room for family and friends, this is the one. Two slides, a Queen Bedroom, plus one Double and two Twin Bunks!